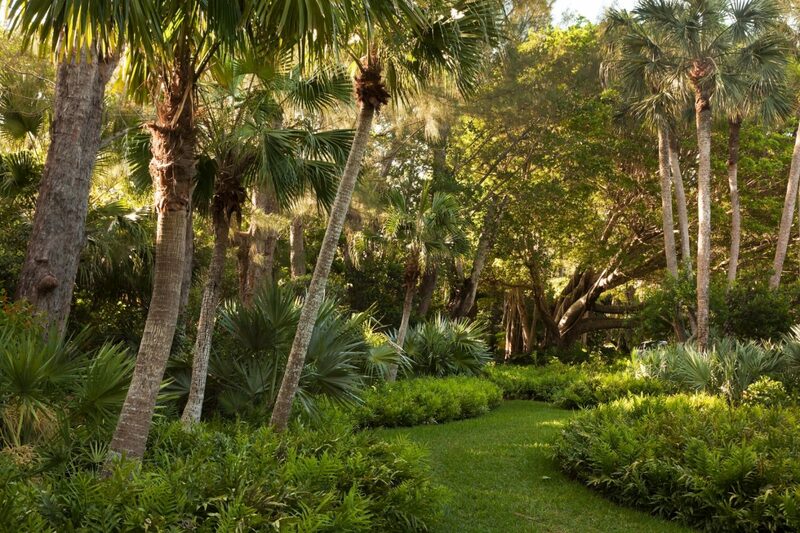 Gretchen's Garden | Raymond Jungles, Inc.
Gretchen’s Garden embraces 14.68 acres on beautiful Jupiter Island, incorporating four property lots and four residential structures linking the Intracoastal Waterway with the Atlantic Ocean. 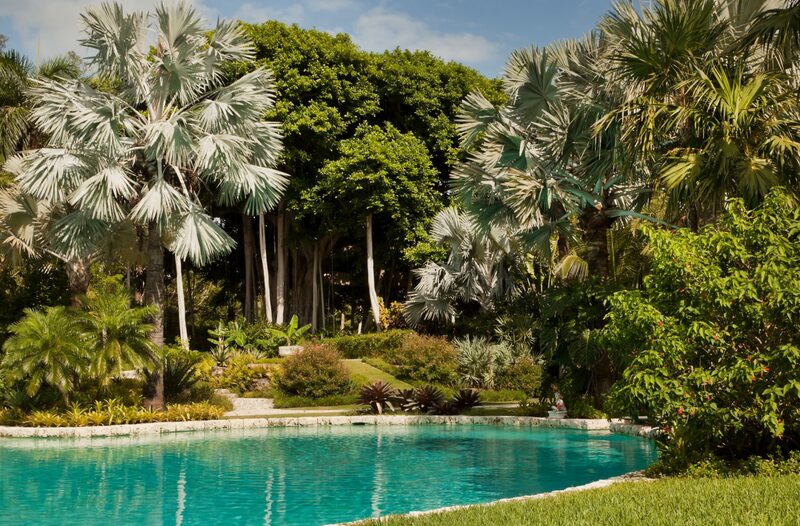 The clients were introduced to Raymond in 2002 after reading an editorial piece on his gardens in the New York Times. 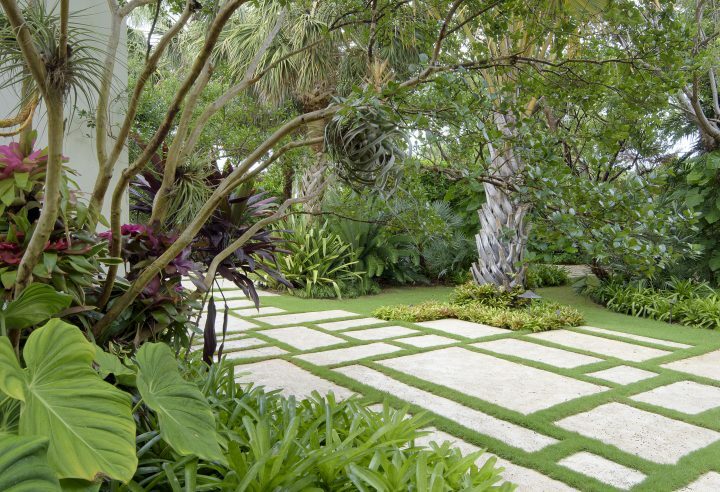 They were intrigued by his creation of habitat and use of plant material and wanted him to reinvigorate the underwhelming grounds laden with lawn. 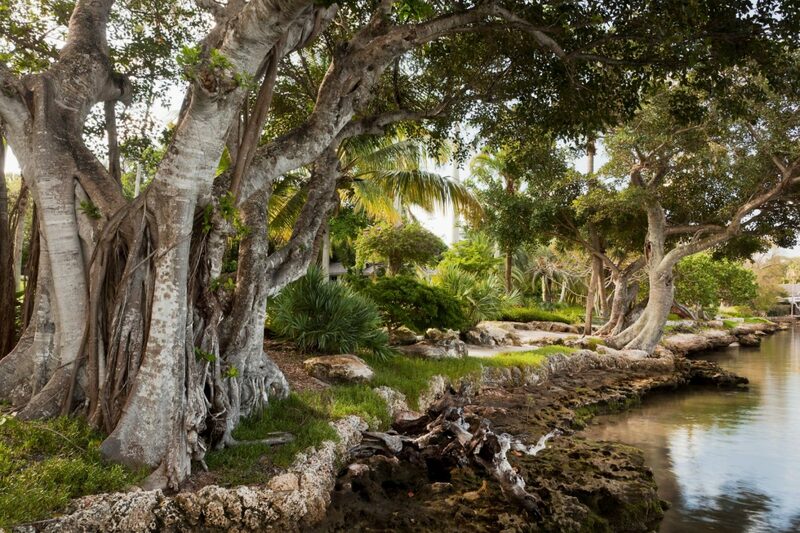 Initially, Raymond performed what became a very complex inventory of the expanse’s existing trees which included monumental, mature Ficus nitida and Banyan Trees among other scattered plantings. The first phase encompassed areas adjacent to the existing lagoon pool. Raymond created demonstration gardens to link the renovated guest cottage—a little suburban house with a garage converted into living space. 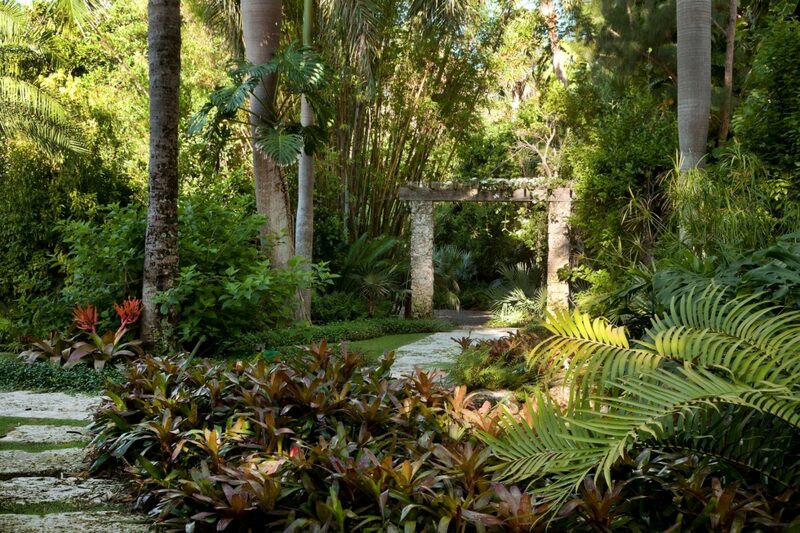 Guests enter the home through a beautiful entrance garden and arrive at a rear garden with a trellised vine structure and water feature. The plant palette is mostly native with color artfully arranged throughout. The clients reside in the historic yellow house, a beautiful house that had an unresolved exterior spatial organization. Raymond elevated the terrace on the water side of the yellow house removing cumbersome steps and created an elevated garden terrace and a landscape that rolls into the threshold of the house. 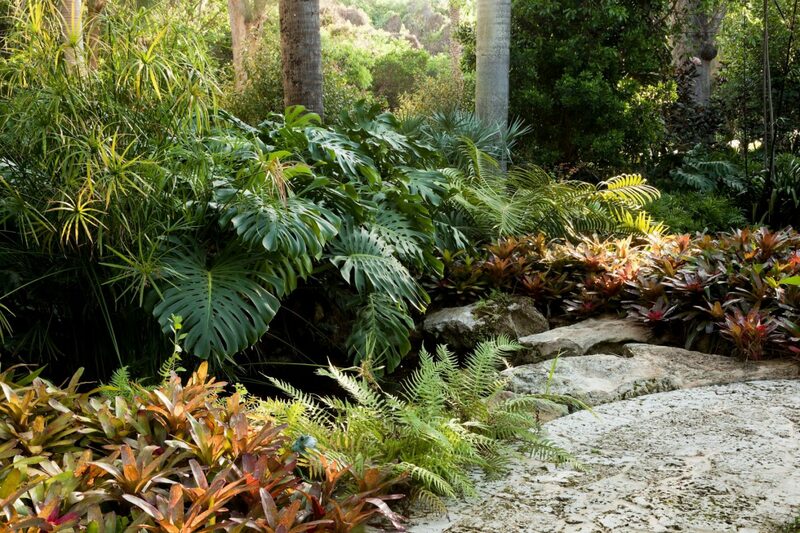 Gentle grade transitions provide more privacy from Hobe Sound and an enhanced pedestrian experience. The existing vehicular driveway curved underneath the canopy of the Ficus nitida but its branches came dangerously low and were constantly cut back. Raymond repositioned the driveway at the drip line of the tree. This gesture organized the departure drive on axis with the mighty Banyan tree and cleared views to its distinctive aerial roots. 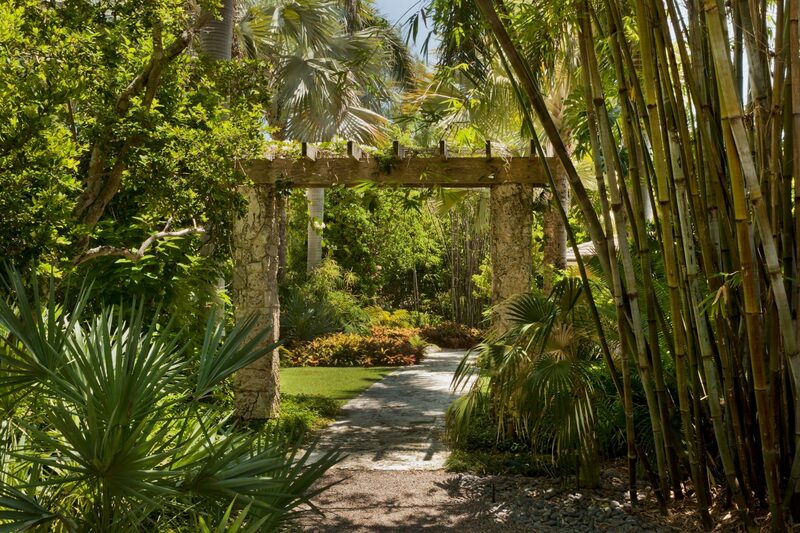 The Banyan, home to a family of owls, was surrounded by miscellaneous hap-hazard plantings that limited the impact of its presence. The existing plants were relocated and simplified with large swaths of native shrubs and groundcovers. 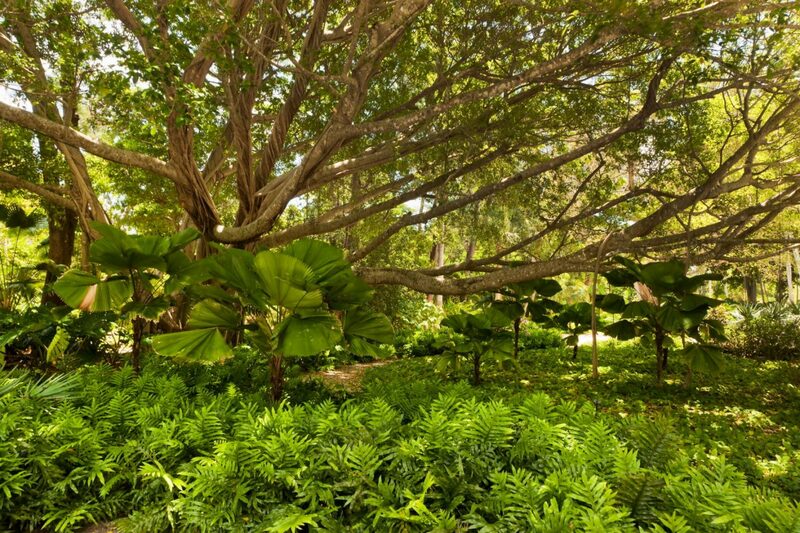 Raymond designed a modern subterranean structure between the Banyan and the lagoon pool to house bath and changing rooms. The roof doubles as an elevated platform for dancing and entertaining. 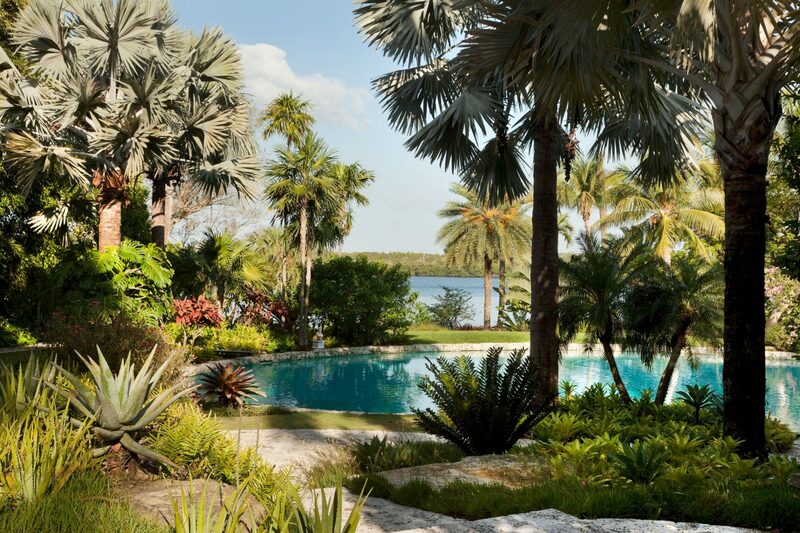 The walkways that trace the lagoon pool vary in size and formality, from floating stone pads to stone patio areas and steps. 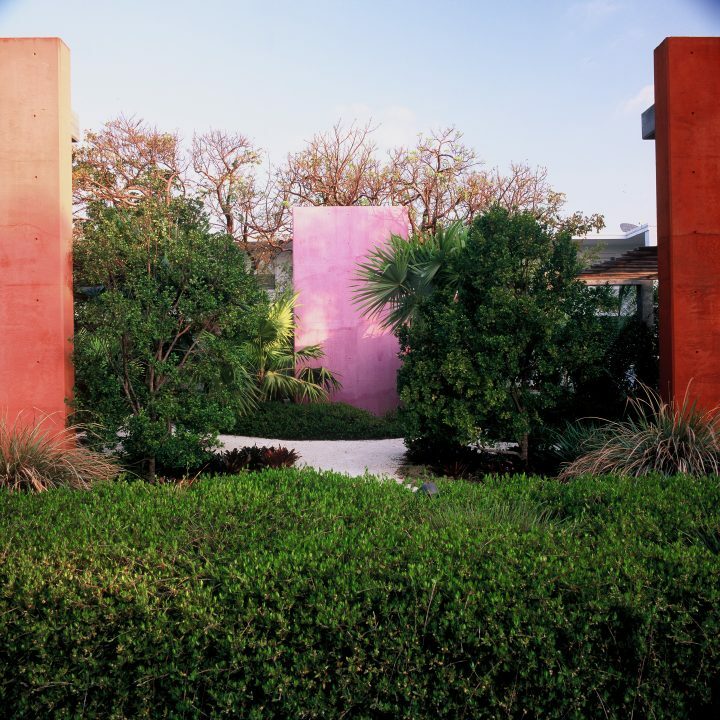 The gardens have evolved through three major hurricanes and an on-site explosion. We restored the shoreline with a stone retaining wall and dune plantings. Several destination garden rooms were designed including a pocket beach for family bonfires and picnics, each a convenient distance from the four dwellings. 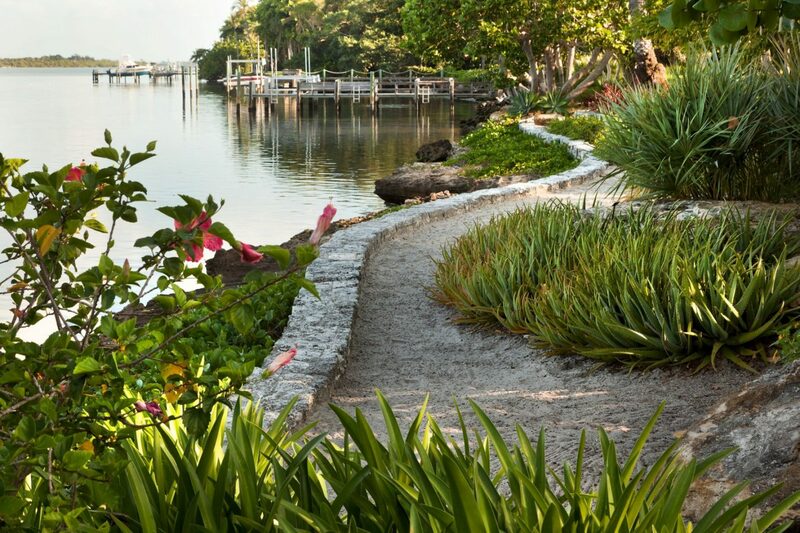 The lawn areas were reduced and large- scale existing plant material was relocated on-site to reveal vistas to the waterway.